Listen to my interview on the BBC. Hello and Welcome. My name is Ray Seagrave, and I own Complete Driver an award winning Nuneaton driving school offering driving lessons in Nuneaton, Coventry, Bedworth and surrounding areas. Are you looking for driving lessons in Nuneaton or driving lessons in Coventry with a high quality, highly recommended instructor? I have some good news - Pupils love Complete Driver. My driving school in Nuneaton has become so successful locally because I care about you and your driving goals. I work hard so you get excellent instruction built around you and your preferred learning style. Making learning easy, simple and fun! At Complete Driver we want what you want. We understand that learning to drive is not just about getting a driving licence but is an essential skill for life that will keep you safe on the road every day. Having a passion for your success means that every effort is taken to provide you with the best opportunity to reach your driving goals. Not all instructors (or driving schools) are the same. With Complete Driver you're in safe hands. We display a green Driving Vehicle Standards Agency (DVSA) badge in our windscreen to prove that we are fully qualified to teach you. The green badge means that we have completed an average of 12 to 18 months of initial training and passed an exam testing our ability to teach. There are a range of options available to you including Pay As You Go (PAYG) Intensive and semi-intensive driving courses, so you’re sure to find something that’s right for you. 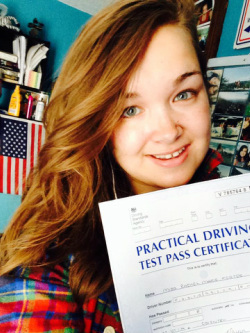 So, take that first step to passing your driving test. Use the contact form below and find out why Complete Driver is different from other local driving schools. Great! I have lots of help and information on learning to drive right here. Take a few minutes to look around our site including our FAQ's section. Here you will find lots of free help, advice and information for those looking to learn and drivers looking to improve and bring down the cost of motor insurance. We are fully qualified to teach driver and Instructor training. We have achieved and teach high standards in advanced driving, are members of and accredited by a number of driver training bodies featured here. LIKE our Facebook page and follow us for learner driving help and advise. Ask us questions. Get free advice from experts in the driver training industry.